Fuel injection or burner pumps and the engineered systems that they are mounted on dispense fuel directly into the gas turbine or oil fired boiler. 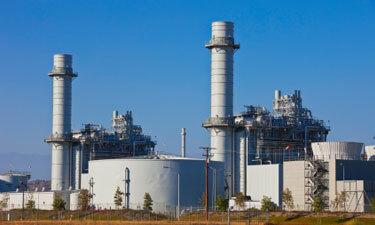 These pumps and engineered systems provide a mission critical operation for the power plant with the main pumps mounted in a three 50% capacity configuration: one as a hot standby; one for up to 50% load; and a third pump coming on for loads in the 50 to 100% range or two 100% capacity pumps (one running with one standby). Pump applications require flow rates in the 50 to 400gpm range per pump for utility scale combustion‚ steam and combined cycle turbines with discharge pressures in the 700 to 1800 psi range. In specific applications‚ CIRCOR has worked with manufacturers to develop pump solutions that can handle discharge pressure of 2000 psi at a flow of 500GPM. Stationary diesel applications require lower flow rates and pressures. Coal fired steam plants use Fuel or Burner injection pumps to pump oil into the burner to either keep the coal burning or speed the temperature rise in the boiler. In some applications where Bio-Mass fuel is incorporated the fuel or burner injection pumps will be operated in order to produce an even combustion temperature to compensate for varying BTU content in the Bio-Mass fuel. In combustion and combined cycle plants‚ liquid fuels (distillate‚ fuel oil #4‚ #6‚ etc.) are used as back up supply for the primary fuel natural gas. Consistency of output and smooth pulsation free flow are primary criterion for purchase in fuel or burner injection pump applications making three screw‚ two screw or crescent internal gear pumps as the suitable choice. Often times‚ pumps are sized for 125 – 150% of the delivered flow requirements. Engineers design for future expansions and planned upgrades and design a bypass system to accommodate the excess flow delivered. Users should recognized that excess pumping costs money and running a bypass systems 24/7 can quickly eat up savings. Finally‚ Allweiler brand ALLHEAT thermal oil centrifugal pumps are used in small decentralized biomass combined heat and power plants in an Organic Rankine Cycle (ORC) process. In this application‚ silicon oil is vaporized in a boiler and used in a steam turbine instead of water/steam. The heat cannot be transferred directly from the burner to the silicon oil as the heat is too high. Therefore‚ thermal oil is heated to around 150F/300C and this heat is then transferred to the silicon oil.